Question Posted on Independent Authors at Yahoo Groups. This article fills people with hopeful and vague ideas that the future is here and that this type of success is going to become more commonplace. And it may indeed for some. BTW. Look at this article! It points out exactly what I am saying. It’s not a book review. It’s a human interest feature story. It is even a shining example of one of my favorite rules — the DPAA + H rule. It’s dramatic, personal, and tells stories of achievement in the face of adversity + humor. So it does attract reader attention. It is emotionally engaging and even galvanizes people with visions of hope that they too can be a wildly successful author without being raked over the coals by classical mainstream publishers. It highlights the apparent simplicity of the new publishing economic model. It also identifies the authors by name. It brands each one so that anyone who looks them up can now be exposed and potentially buy everything they have available. Great article. 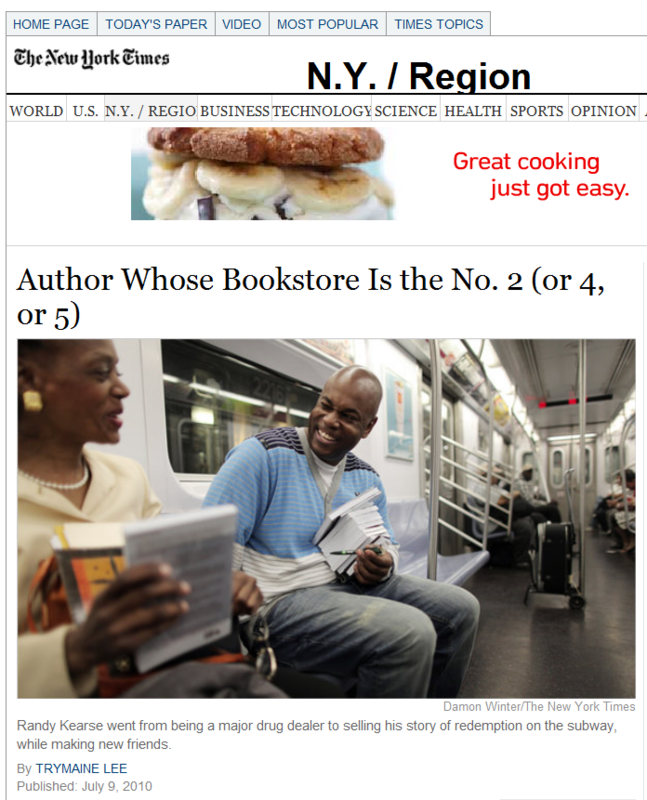 This is an example of the very best type of media coverage authors can get. Is it entertaining? Yes. Is it really helpful? Let’s look for the practical value. Seth Godin and Stephen King can write just about anything they want and it will sell. They not only have created a huge national following, but they’ve each created consistent, high performing diverse platforms of communication that allow them to reach and sell directly to THEIR PEOPLE. They have created astoundingly successful communications systems that persuade people to take action. Most people do not have these “Internet tools” in place. In fact, many authors write and publish without even thinking about how to reach out and touch someone, anyone. They don’t think about how to do so consistently, so that can run a writing and publishing business profitably and consistently. Seth Godin is talking my language. This is the field I work in. Targeted PR. You get to choose what you want to do. And if you want to make money with your publishing, here’s my suggestion. The country is huge – in the US alone you have 330 million people. The potential is phenomenal. If you can develop a process for reaching people you can do very well. I believe you can even learn how to do this starting one on one in your back yard, anywhere. I even came up with a cute little acronym which describes how to do this. Think about what you do that turns people on. Test it. Get a sale. Capture it. Record it. Document it. Then prove it. If it works, do it again. Test it again. Improve it by asking again. Then repeat this process till you can stand in a room or present to 25 people and get half the people in the audience to hand you money. Then use the many technologies you have at your disposal to present, broadcast and target YOUR PEOPLE with this proven message. Decide what marketing actions to take and then document the sales and profits you receive. Compare it to other actions you can take. Be systematic. Identify a pathway to profits. Determine if you have developed a process of steps that can be duplicated. If it works, then do it some more. If it doesn’t, then stop and do something else. Client had me send out a news release for a crime fiction mystery novel. The news release was transmitted on Feb 16 and produced 50 requests for review copies in four days. It’s now April (three months later) and he has received exactly three reviews. Those reviews were all quite favorable. It was not hard getting the book review media interested. 50 requests for review copies off of a single emailed news release for a fiction book is really quite good. So why the low coverage? Why the lukewarm response from the book reviewers? Is it the book? Maybe. It’s a relatively thick book, 426 pages, clearly self published, limited national distribution. Author is Canadian resident. Cover could be improved. Is three reviews good or should there be more? There may yet be more to come, but three out of 50 is six percent, and that may be a very good reflection of what the media sees as the relative number of people who will be interested in this genre. It may be a very good reflection of the perceived interest in the marketplace. Buit this is pure armchair speculation. You need hard data to make business decisions. You can call the media who received the review copies and ask them for feedback. It may be that they simply haven’t gotten to it yet. They are busy people with their own lives, businesses and priorities. It may also be that once the book reviewers actually see the book, they simply decide “this is not right for my audience”. But without calling to ask them and see if they will be frank and give an honest and objective appraisal, this is pure speculation. Call and ask. But be prepared for some hard to accept feedback. People may not like your book. They may resent you asking for this feedback. They may not give you what you are asking. You may not like what they say. So if you do call media and ask them, be prepared. What Really Happens When You Send Out a News Release? I prefer using email html and the phone to get maximum effect when I write a news release. At least you hit the maximum number of key media people directly with a pitch. It is not unusual for me to see 25 to 60 media responses for interviews or review copies as a result of a news release I transmit. HCI Books, Going Rouge: An American Nightmare, politics, not to be confused with Sarah Palin’s book), over 250 media requests, made NY Times best seller list. Derek Galon and Margaret Gajek, Exploring the Incredible Homes of the Eastern Caribbean, luxury travel architecture coffee table book, 75 media requests. 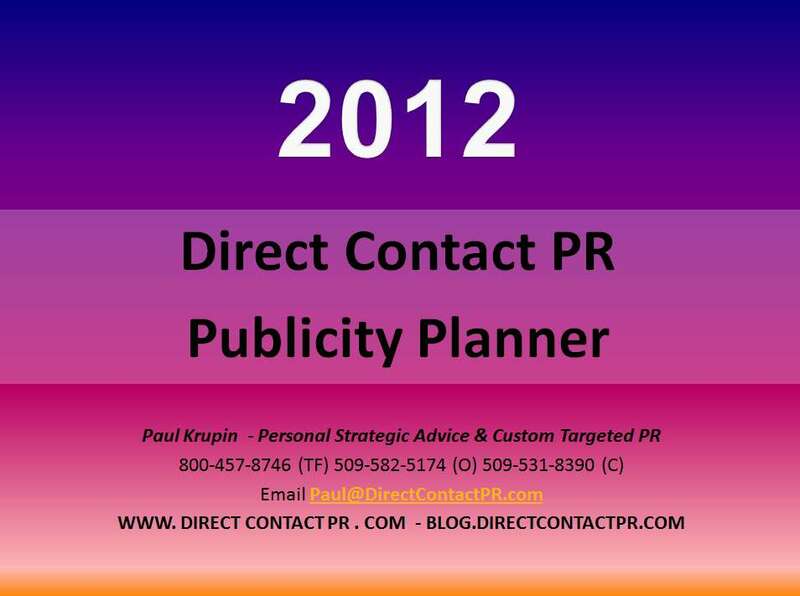 I have similar media response statistics for products, films and videos, and even consulting services and events. The data clearly shows that media interest and responses are a real life reflection of public interest and predicted response to a communicated offering no matter what it is. The bottom line, is this: If you offer up an idea that turns people on, they respond to it. Of course pitching to media is a great way to leverage technology as a force multiplier. Each person you contact is a publisher and if you persuade them to share you and your message, their audience gets to see your creation. 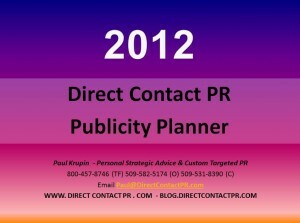 It can be a great way to jumpstart and supercharge your marketing efforts.